We were delighted that our Hednesford Army Cadets supported our event as marshals. Great turn out and great effort by all! Back Street Theatre members and Cindy Faulkner (BELOW) read ‘Hednesford’s Spooky Halloween’ written by Cindy Faulkner and the Jackanory After School Reading Club at West Hill Primary School. Winners of the fancy dress and lantern competitions BELOW LEFT and BELOW RIGHT talented young musicians from Staffordshire University Academy. 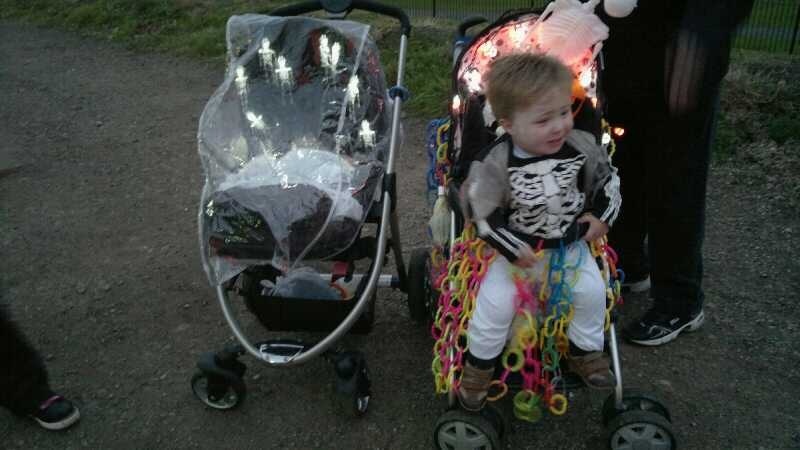 Below photographs depict the fabulous effort by parents to decorate their push chairs and one of our valued volunteers Niki Taylor and dog Cleo.